This is clearly outrageous. But let me first say, as an aside, that I bought my own Cingular Wireless phone records this past weekend and reported on it on AMERICAblog. I wouldn’t do this to any other public person without first doing it to myself. But even after reporting on this gross violation of my (and your) personal privacy, Congress, the Administration, and the phone companies have yet to act effectively. (And they have known about it since at least this past July when the Washington Post reported on it.) So we decided to attempt to buy the records of a celebrity, so to speak. And we unfortunately succeeded. I also want to say a quick aside about General Clark. I was a big fan of his presidential campaign, and he was the first candidate I supported. This effort was not meant in any way as a slight to the general. We wanted to see if it was possible to buy the phone records of someone high profile in order to prove that this is a problem with serious national security implications, and frankly, we didn’t want to pick a Republican since we thought such a choice would be perceived as partisan or mean-spirited, and that is not our intent for exposing this. Our intent is to get this problem fixed so that we all can benefit. Interestingly, we tried to get the cell phone records of other high-profile Washingtonians like ABC’s George Stephanopoulos, the Washington Post’s Dana Milbank, and the New York Time’s Adam Nagourney, but LocateCell was unable to provide me with their records (possibly because those three use Verizon as their cell phone service, or possibly because LocateCell was on to me). We are in the process of trying to obtain additional records. 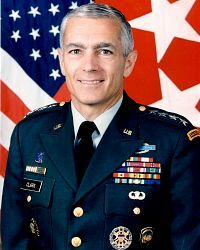 The following is the list we received from CellTolls detailing 100 consecutive phone calls either placed or received on General Clark’s cell phone from November 15 to 18, 2005. The company only gives you 100 calls, then you have to pay more for additional calls. We have blacked out all but the last two digits of every phone number, including General Clark’s cell phone number, in order to protect his privacy and the privacy of anyone he has been in contact with. This will permit General Clark, and at least one Washington Post reporter, to confirm that the record is legit. The only question now remaining is why President Bush, our leaders in Congress, and our wireless phone companies (at the very least T-Mobile and Cingular, whose customers’ records are available online to anyone) have known about this problem for at least six months but have yet to fix it.